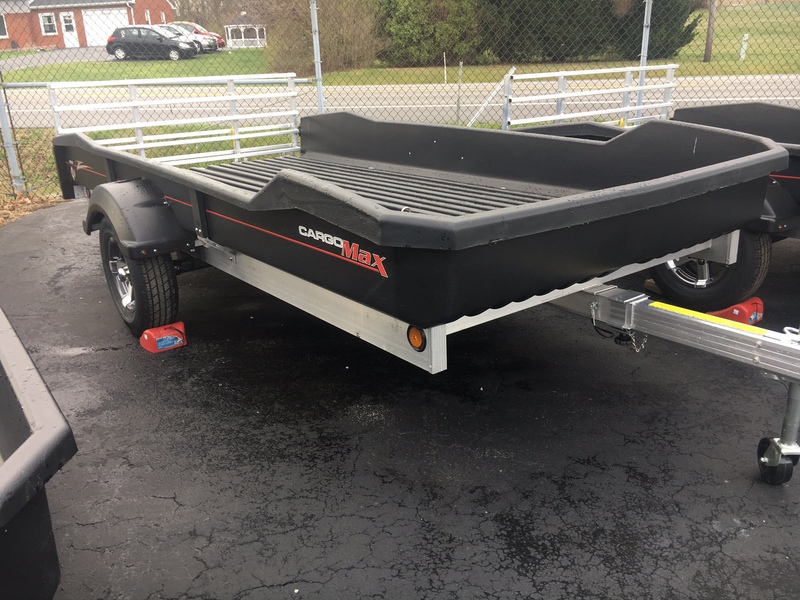 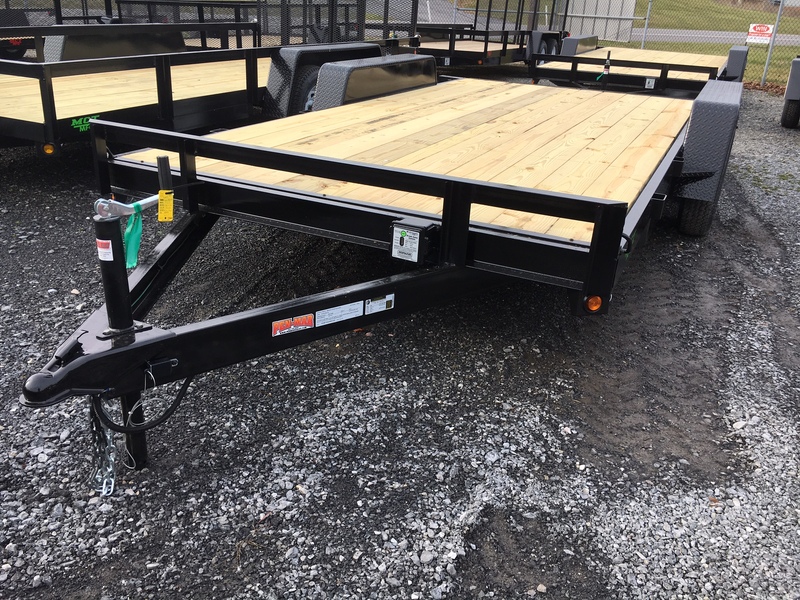 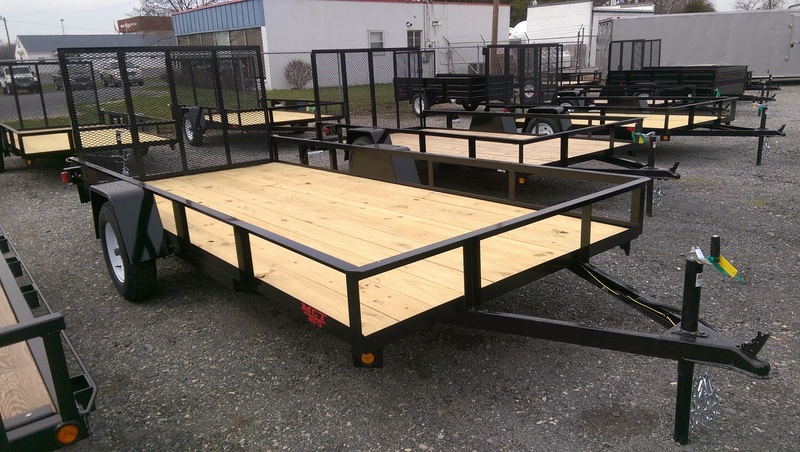 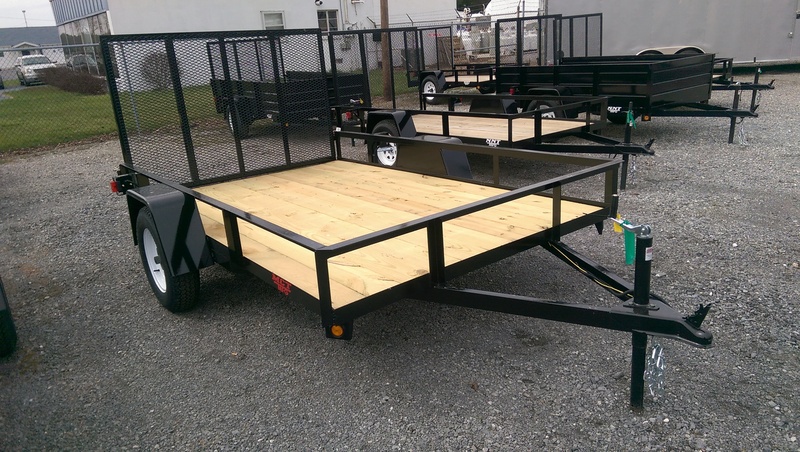 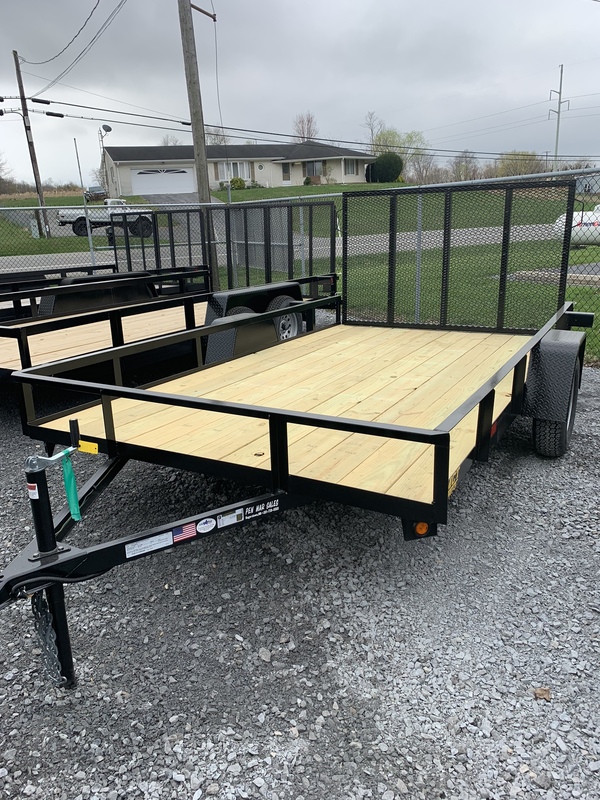 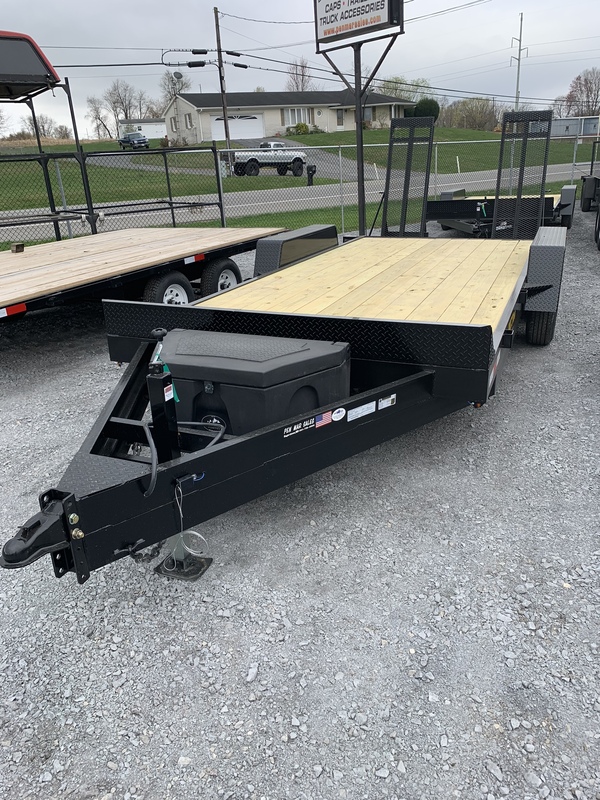 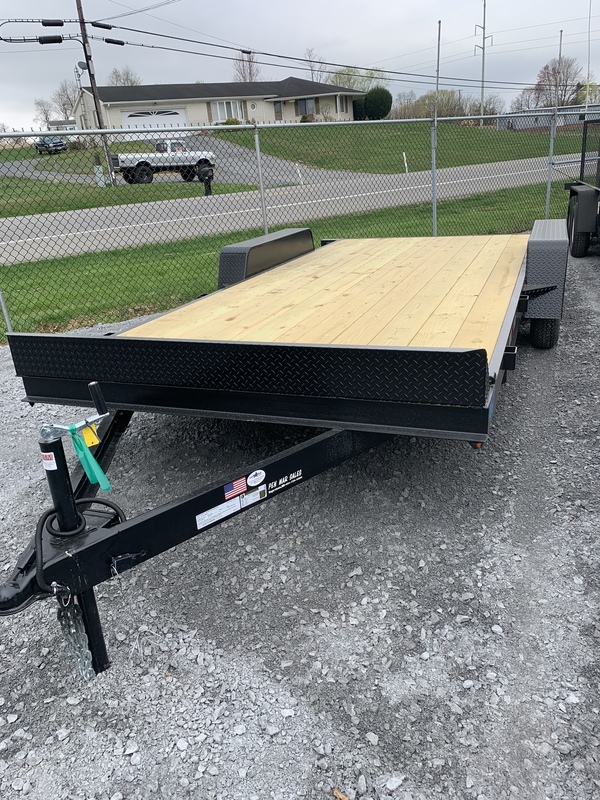 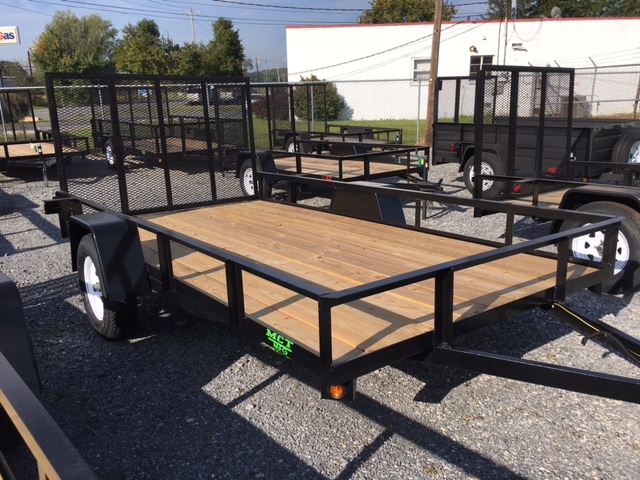 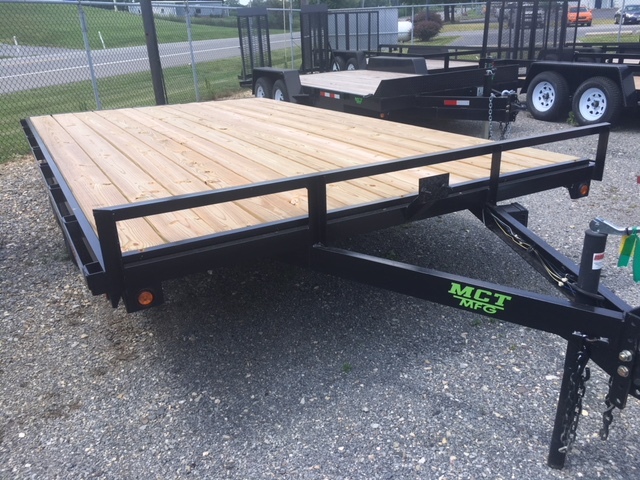 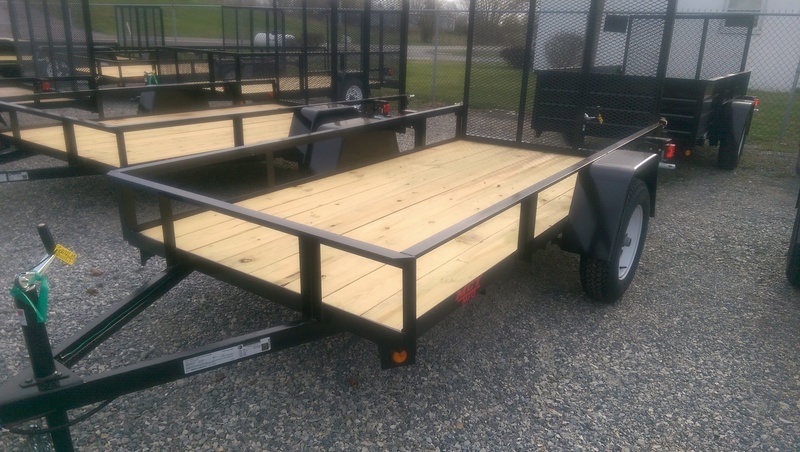 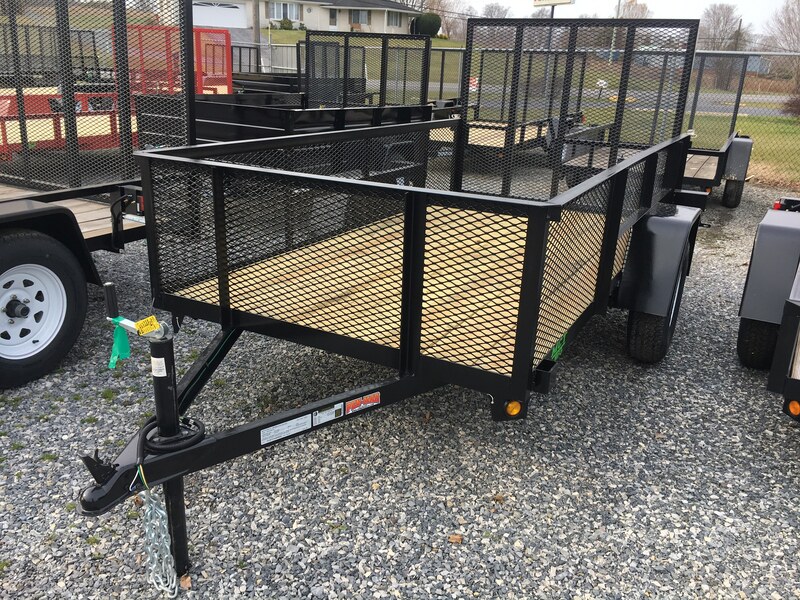 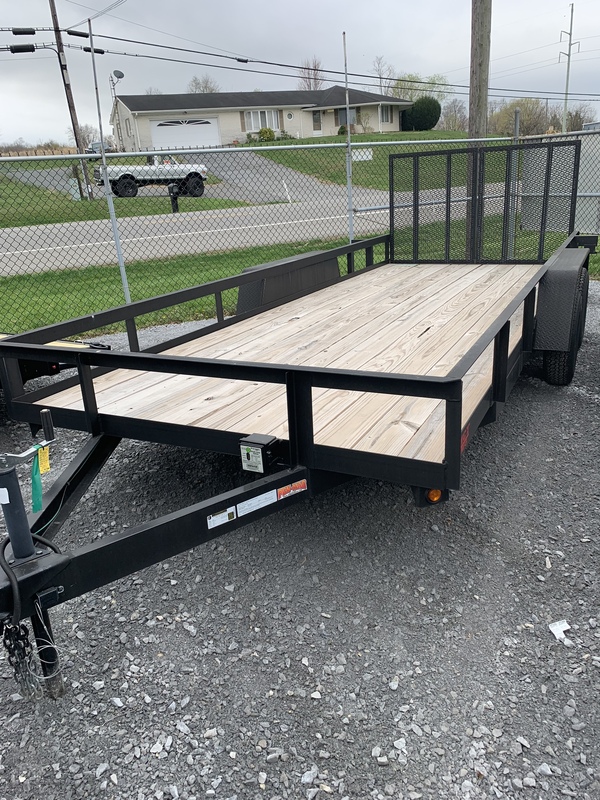 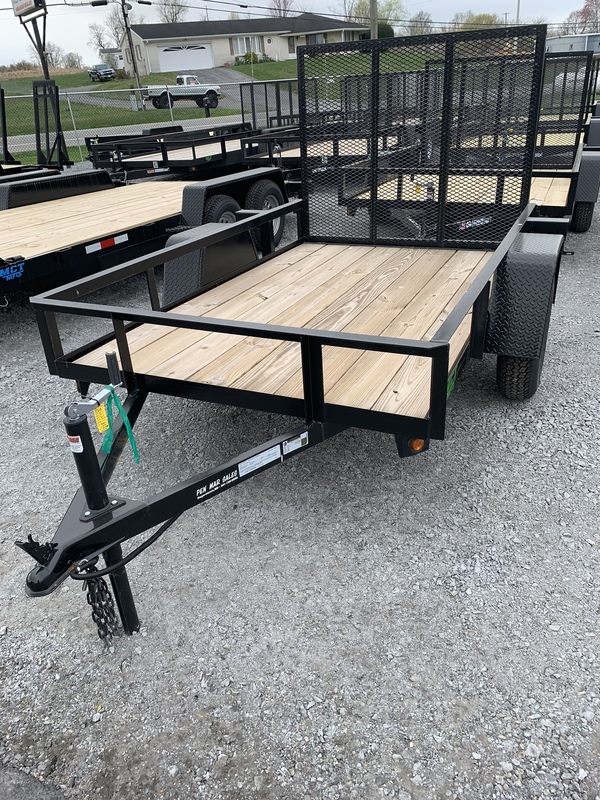 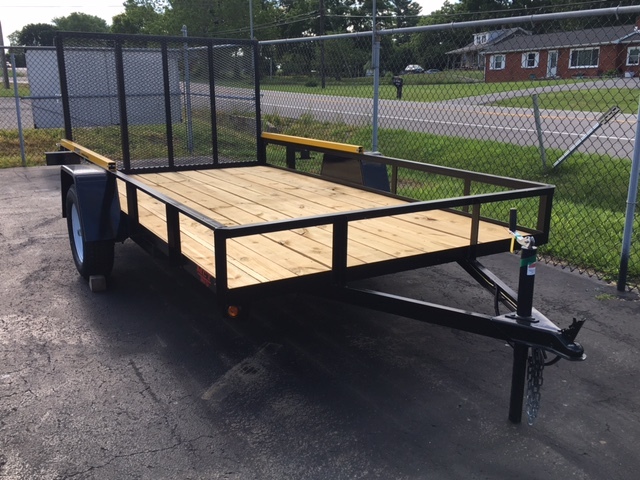 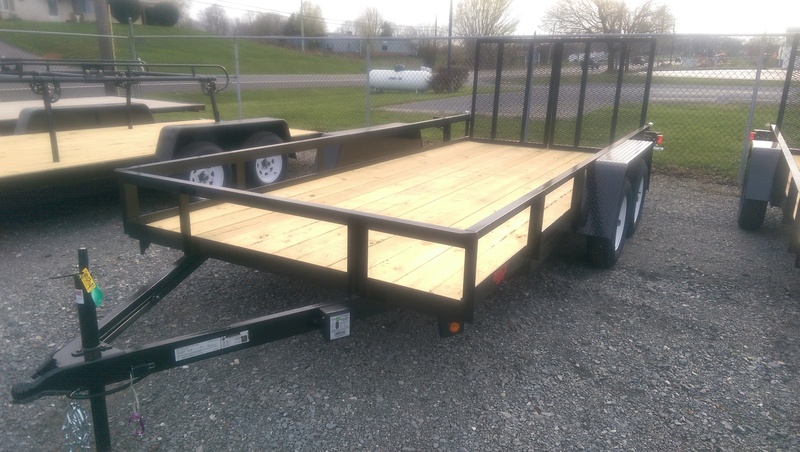 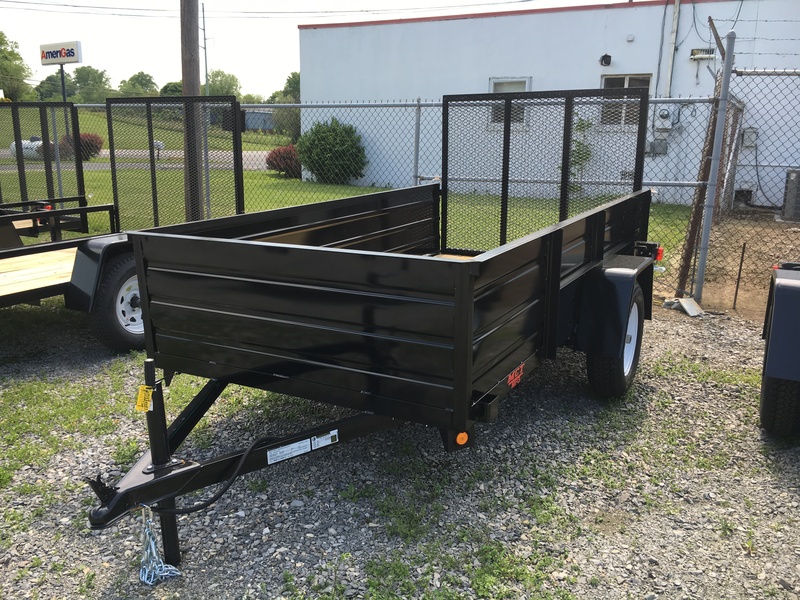 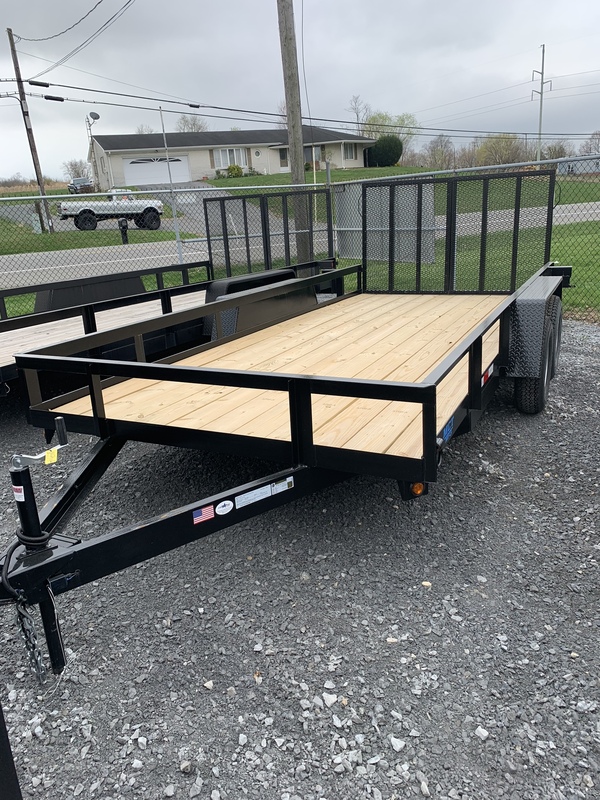 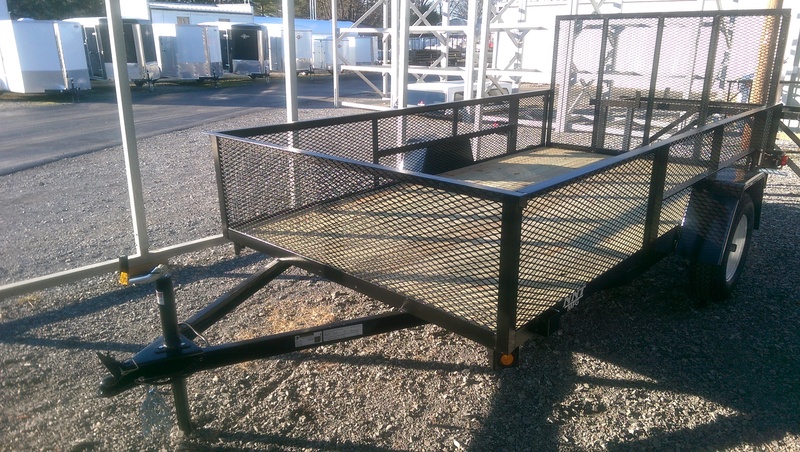 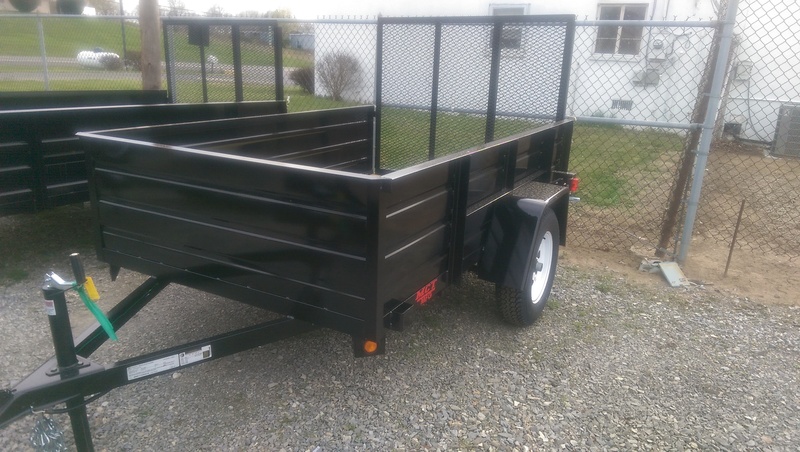 Light-weight trailer that you never have to paint! 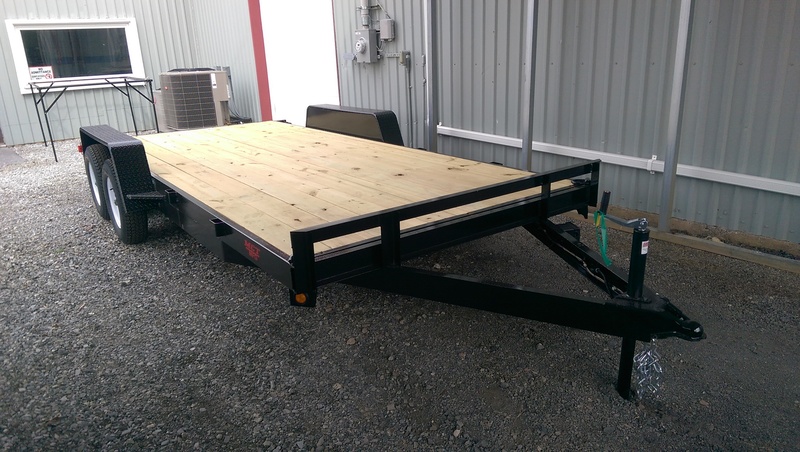 Tilt feature for easy loading & unloading. 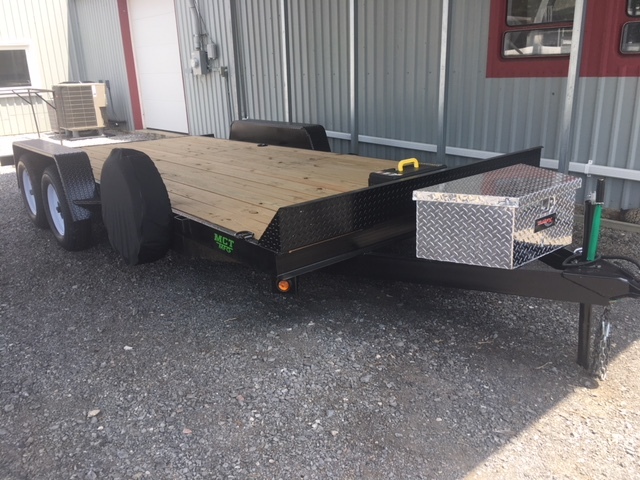 Description: Tandem Axle, Brakes on both Axles, 2' Beaver Tail, Slide-out Ramps. 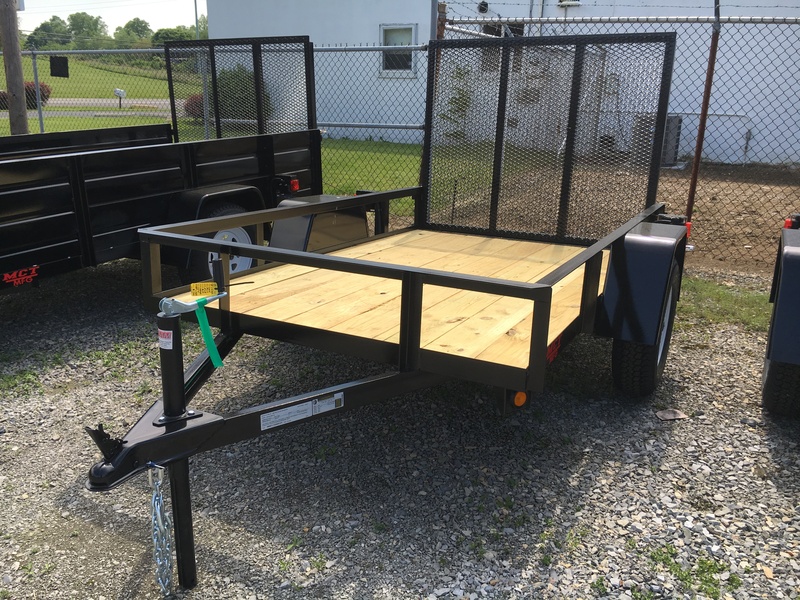 Includes Winch, Battery, Tongue Box, Mounted and Covered Spare Tires, and Additional D-Rings.